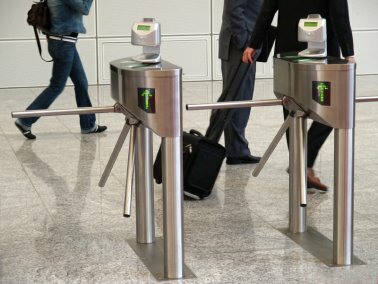 Serv Security’s physical barrier capability ranges across: turnstiles, security shutters and doors, collapsible steel gates and grilles, security fencing, anti-bandit screens, traffic barriers, bollards and blockers - all utilising the latest technologies and strongest job-specific materials. Automation can provide the additional physical security to enhance existing or newly installed systems. Serv can provide either bespoke or off-the-shelf solutions to meet the client's needs and requirements. Safety of operation is one of the most important aspects of automation, Serv Group lead the way in providing built-in power management systems and additional safety accessories to make your system the top in its class. Our vast experience covers light commercial, heavy-duty commercial, industrial and residential applications. This means we can advise on, specify, supply and install exactly the right equipment and accessories for virtually any application.